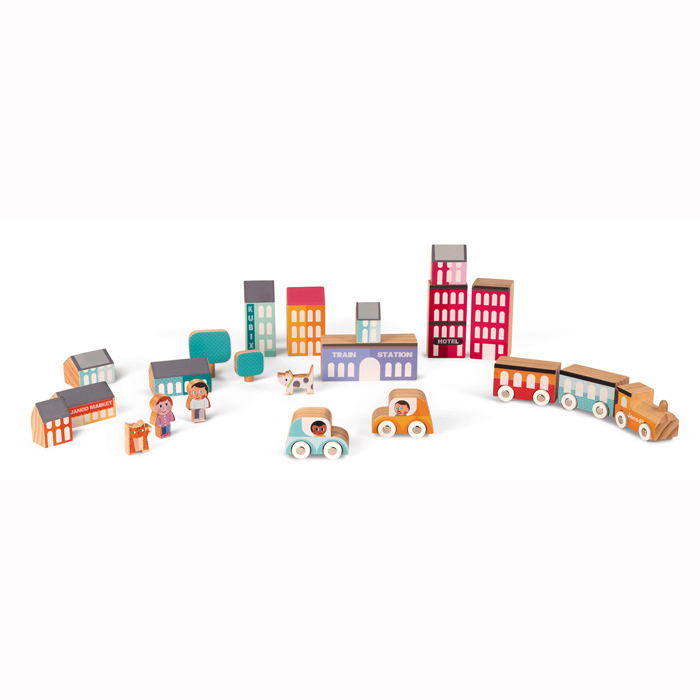 Life in the big city is vibrant and there's always something to do. 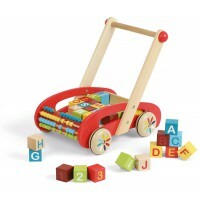 Go for a drive to the market or perhaps visit a posh hotel for afternoon tea in your car. 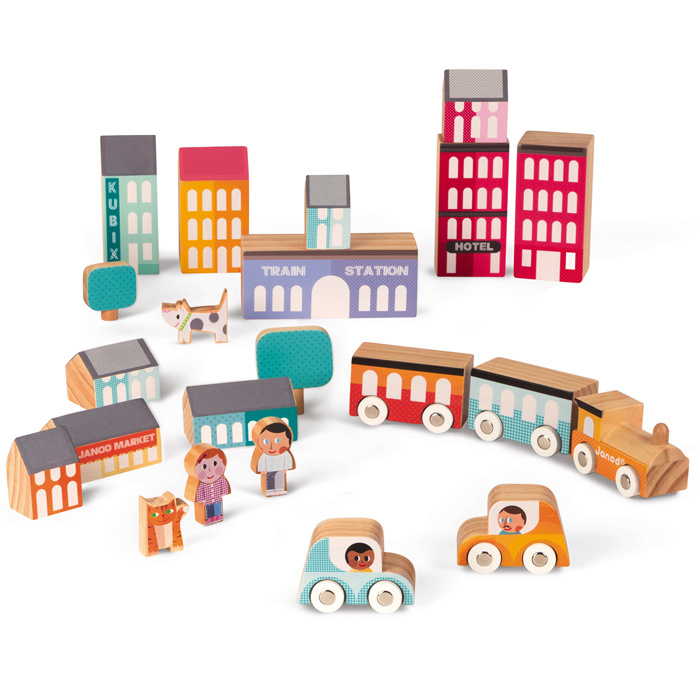 Jump on board the train to take you into work and home again to the family. 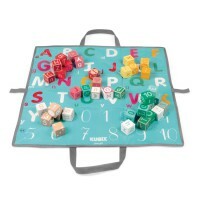 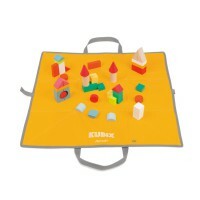 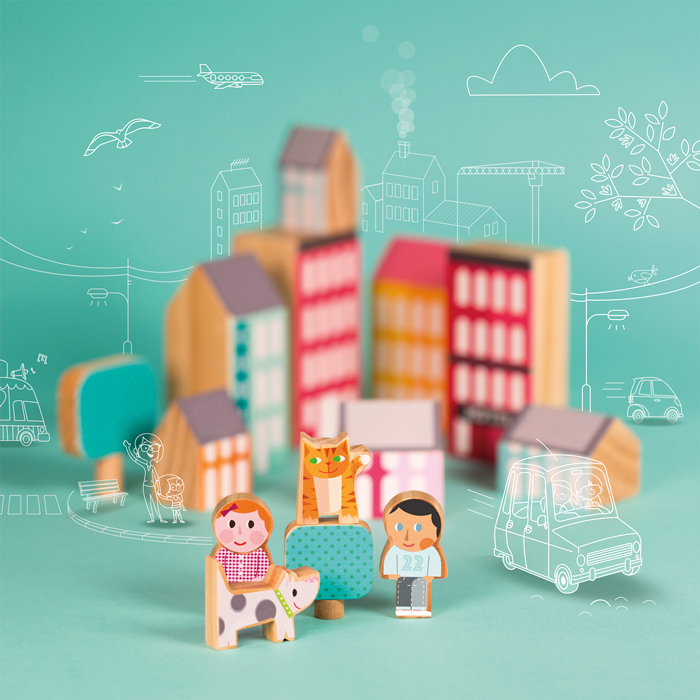 The Kubix City Blocks are 22 wooden pieces that will capture life in the city. 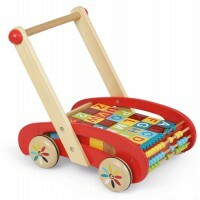 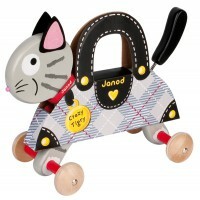 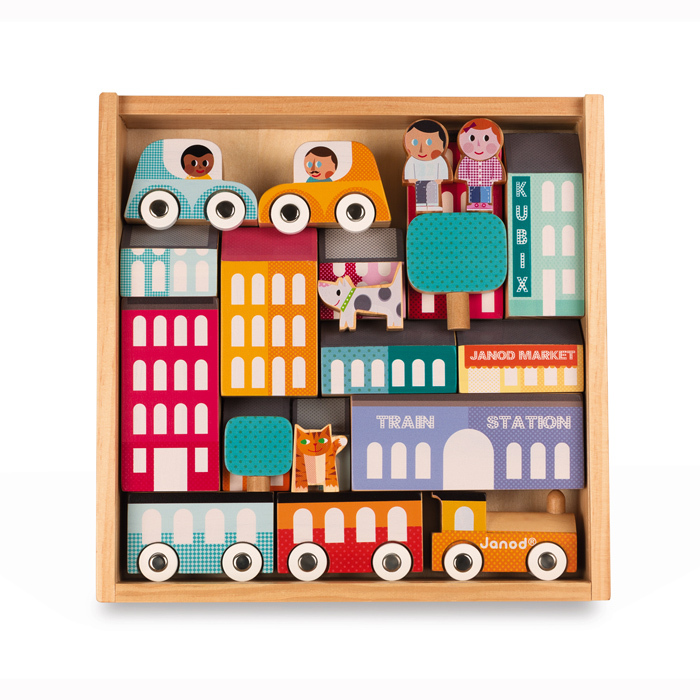 The train and cars have movable wheels and all of the pieces are printed in contemporary designs and colours. 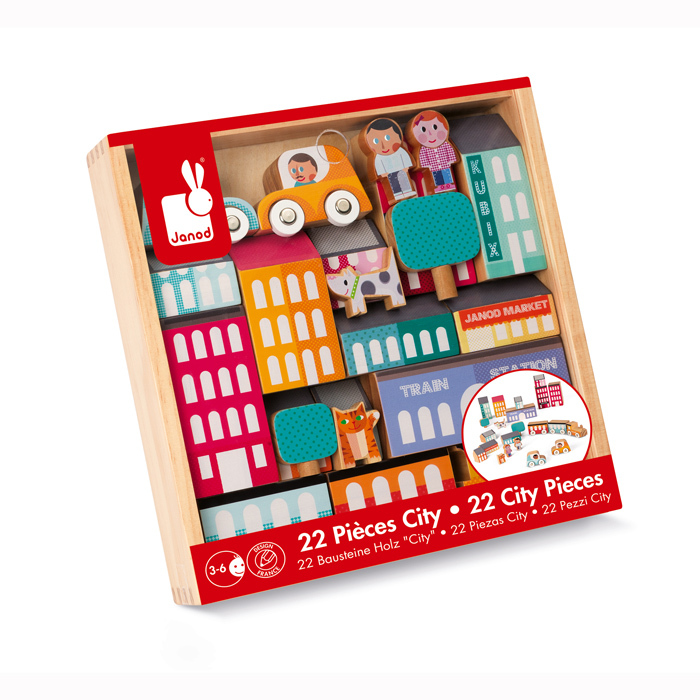 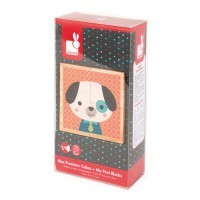 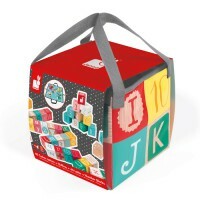 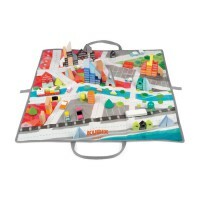 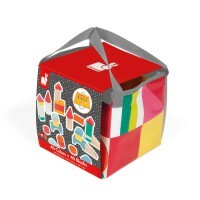 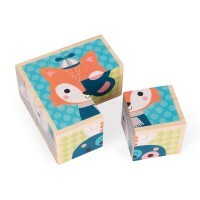 Presented in a wooden tray the City Blocks are perfect for gifting and ensure easy storage at pack up time!